On Feb. 18, 2018, the Lord called and Lucille Micka accepted the invitation to be reunited with family and friends she had not seen in a long time. A funeral Mass was held Monday, Feb. 26, at St. Francis Xavier Catholic Church in Buffalo. She was born Feb. 25, 1925, in Winsted Township, the sixth child born to Bernard “Ben” Radtke and Loretta (Litfin) Radtke. She attended the St. Adalbert Catholic School in Silver Lake through the eighth grade. She graduated from Silver Lake High School. She did some babysitting during her school years. Throughout high school, she helped her dad, who was the Silver Lake Public Schools custodian, sweeping floors, washing windows and painting, as well as working at the Minnesota Valley corn canning factory during the summer. After graduation, she got a job at Honeywell in Minneapolis. On May 1, 1945, Earl Micka and Lucille were joined in marriage at St. Adalbert Rectory, because Earl was not of the Catholic faith. God blessed their marriage with two children, Linda and Douglas. Mrs. Micka helped her husband and father-in-law in the Old Log Cabin bar. After her second child was born, she gave up being a bartender and short-order cook. She worked a couple of summers at Green Giant in Glencoe during the canning season, and later full time at Tonka Toys in Mound, and a couple years later at Telex in Glencoe. After the bar was sold in 1965, Earl and Lucille moved to Edina, where she took a job at Research, Inc. where she worked in many capacities in her 20-year tenure and ultimately was the only female to hold the position of production supervisor. After she retired, the couple bought a townhome in Plymouth. During her retirement, she became interested in buying antique dishes and furniture. Most of the furniture in her home was antiques that she purchased and restored herself. Another hobby that surfaced during retirement was restoring dolls she purchased at garage sales and auctions. She would spend hours mending the dolls and restyling their mangled hair. She created her own patterns and sewed all of their clothing and accessories. She felt a connection to each doll because, as a child during the Great Depression, she never had a doll of her own. During the late ’70s, she began her passionate journey into family history, completing books on both her paternal and maternal families. In addition to researching her own family history, she compiled information on other family lines, which resulted in 10 additional books. She volunteered with various groups and organizations during her retirement years. She was a member of the Czechoslovak Genealogy Society and served as librarian chairperson and also sold Czech-related items at Czech festivals in several states. She also was a member of the Germanic Genealogy Journal. She volunteered many years at the Wayzata Food Shelf. 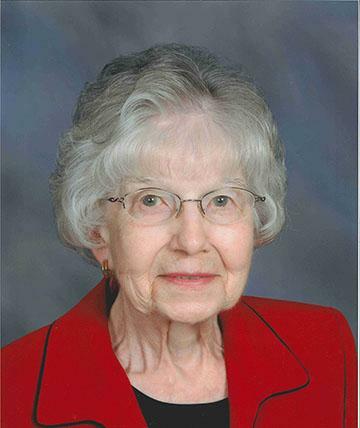 She served on the social committee for the homeowners association where she lived, and also at St. Bartholomew Catholic Church in Wayzata, where she was a member for many years. Travel also was a love of hers, visiting many European countries, Mexico, Canada, and almost all of the United States. She loved to cook, can and bake for family and friends. No one can ever say they went away from Grandma Lucille’s with an empty stomach. In 2012, Mrs. Micka moved to Park Terrace Assisted Living and Memory Care facility in Buffalo, and spent the last year of her life at Park View Care Center. She leaves behind her loving children, Linda (Thomas) Paumen of Buffalo and Douglas (René) Micka of Springfield; grandchildren, Paul Paumen, Paula (Paul) Herda, Christi (Alex) Canine, Elizabeth Micka and Joseph (Jessie) Micka; great-grandchildren, Mitchell, Victoria, Jonathan, Andrew, Ashton, Xander, Scarlette, Samantha, Russell, Nathan and Jacob; and brother, Paul Radtke. She anticipated reuniting with members who preceded her in death, including her husband, Earl; parents, Ben and Loretta Radtke; great-grandson, Jack; brother, Clarence; and sisters, Margaret Robison and Ver Della Miller. Arrangements were with Gearty-Delmore Funeral Chapel, Plymouth.